Zoom Raleigh, as a 3D interactive installation, allows viewers to interact with digital media related to the history of the arts, architecture and culture of Raleigh, NC. Viewers can manipulate the digital model by rotating the city itself, selecting buildings of interest and interacting with narrated slideshows of historical photographs. Zoom Raleigh is a rich interactive interface that has been installed in the window of the Urban Design Center right on Fayetteville Street. Further refining and developing 3D interfaces for exploring urban spaces. This project is the culmination of that work along with the refinement of large touch-screen interfaces. Zoom Raleigh has incorporated multi-media montages, archival materials, historic photos, and interviews with Raleigh leaders like Greg Hatem. The result is a massive interactive screen that sits behind glass that entices passers-by to reach out and play with the interface. 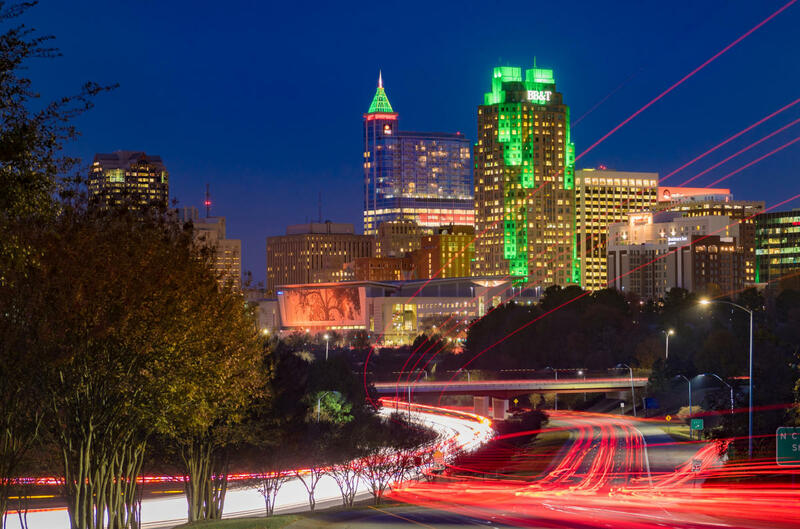 Part art, and part technical feat, the work both educates the public and reinforces the technology culture of Raleigh. Zoom Raleigh as a 3D interactive digital installation allows viewers to interact with digital media related to the history of the arts, architecture and culture of Raleigh, NC. 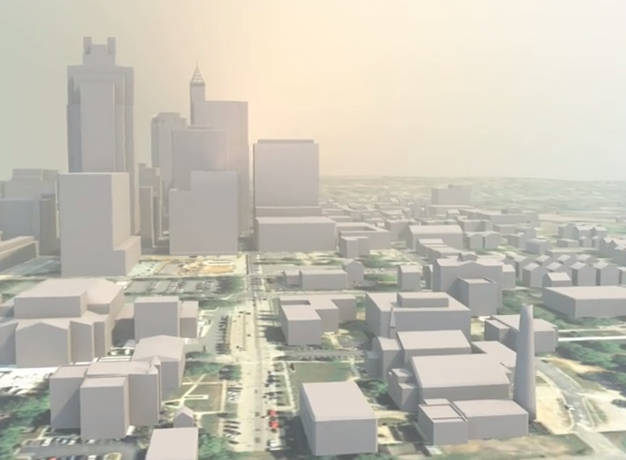 Featuring an interactive 3D visualization of downtown Raleigh, viewers can manipulate the digital model by rotating the city itself, selecting buildings of interest and interacting with narrated slideshows of historical photographs and text specific to selected sites. Exploiting experimental touch and hand gesture recognition technology developed by students and staff a the Advanced Media Lab at NC State University, College of Design, this system utilizes camera recognition, back screen projection and large-scale store-front windows as display screens. Zoom Raleigh represents a new generation in inexpensive human/computer interaction platforms that can be operated in interior/exterior urban environments. Zoom Raleigh is co-sponsored by the Raleigh City Museum, City of Raleigh, Raleigh Arts Council, American Image Graphics, and Empire Properties.